This soap dish holder has a lovely gold plated finish with a frosted glass soap dish insert. 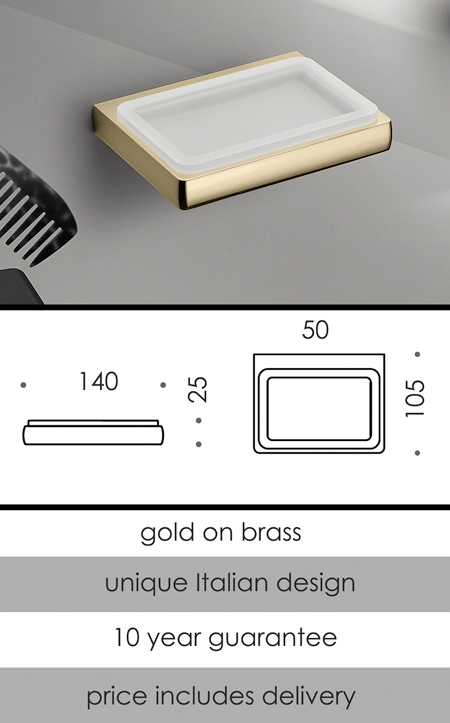 Designed in the latest Italian styling and part of a larger matching bathroom accessory range. Ideal for luxury bathroom design. * Gold on superior brass.